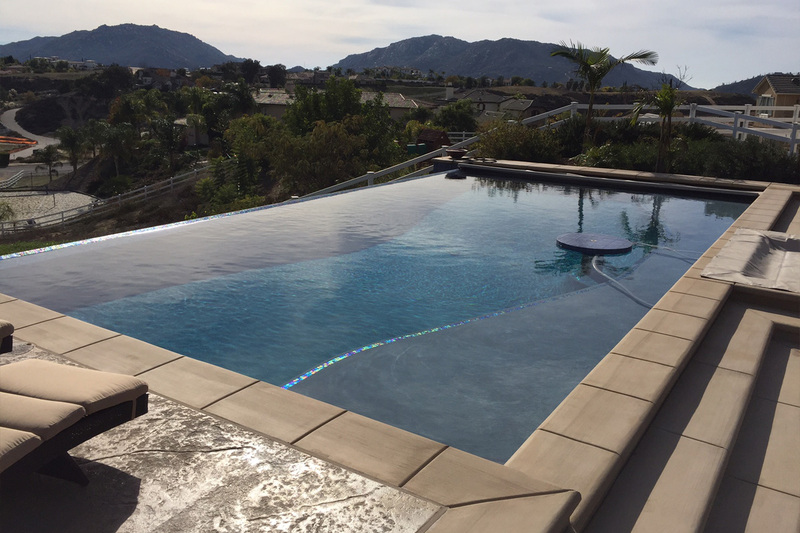 An infinity pool is a reflecting or swimming pool where the water flows over one or more edges, producing a visual effect of water with no boundary. 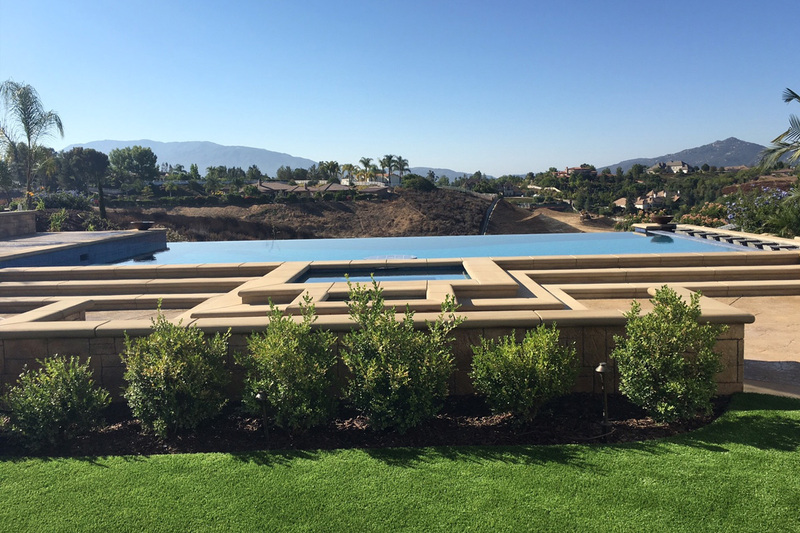 These outdoor pools are often designed such that the edge appears to merge with a larger body of water such as the ocean, or with the sky. They are often seen at resorts, estates, and in other luxurious places. 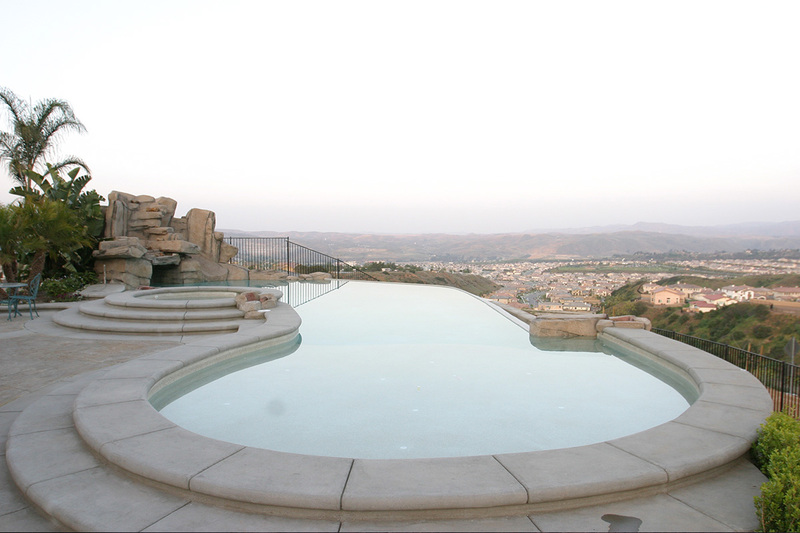 Infinity edge pools are all custom-built and feature a “vanishing edge” at the end of the pool. 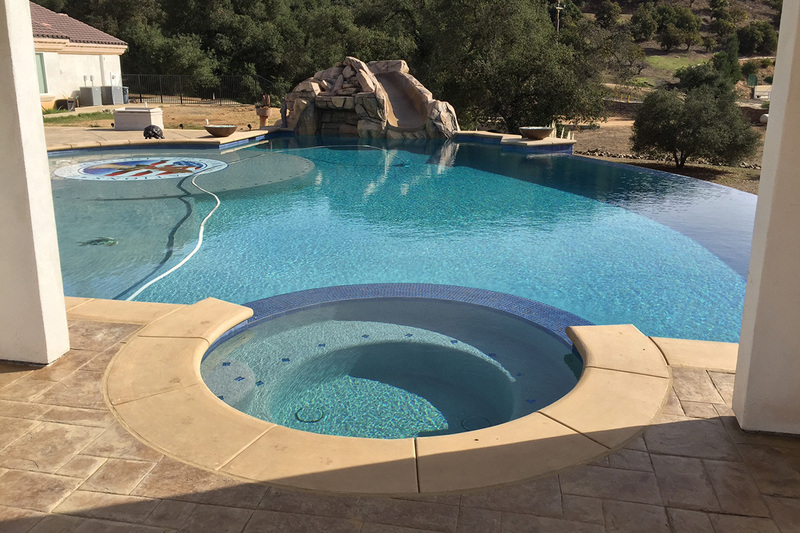 This type of pool requires great amount of structural and mechanical skill and knowledge from the pool contractor. You’ll need architects and engineers to design the foundation and the catch basin (to manage the water’s overflow). 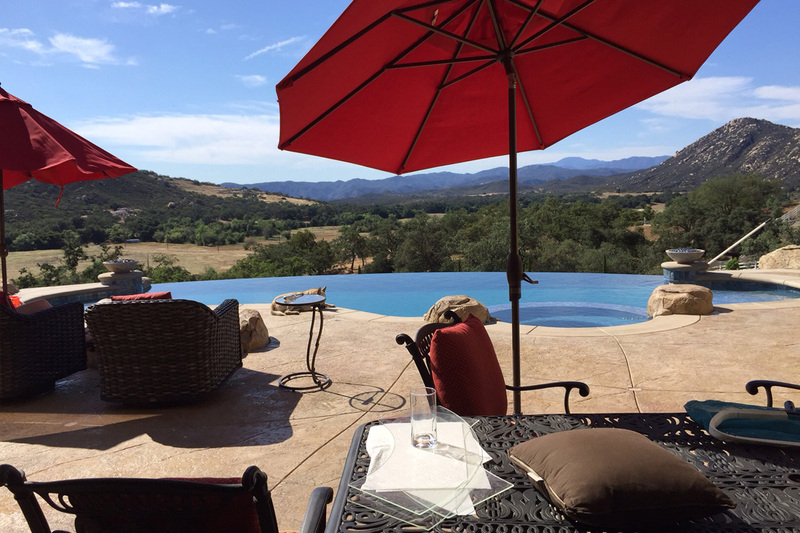 An infinity edge pool is a great place to cool off, hang out, and get the most dramatic backdrop for selfies! 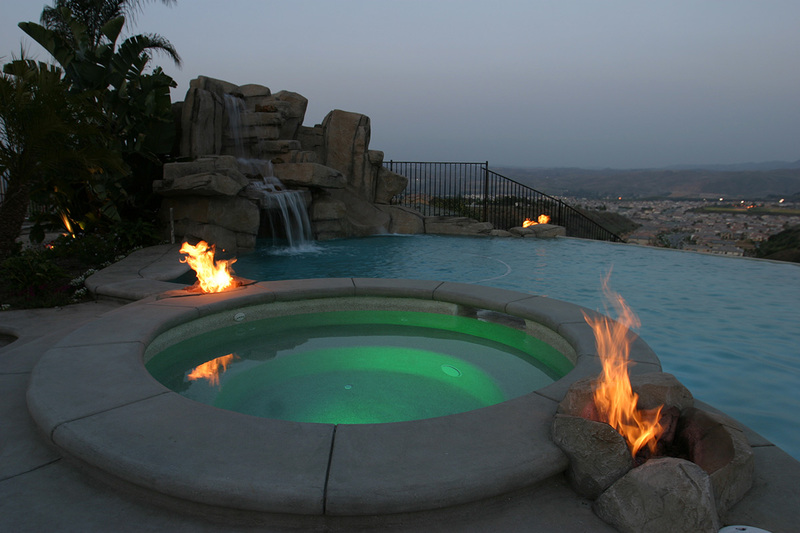 Our design staff at Sunset Outdoor Creations will computerize the design in 3D vision, so you can visualize exactly how your outdoor infinity swimming pool is going to look like before a shovel of dirt is moved. 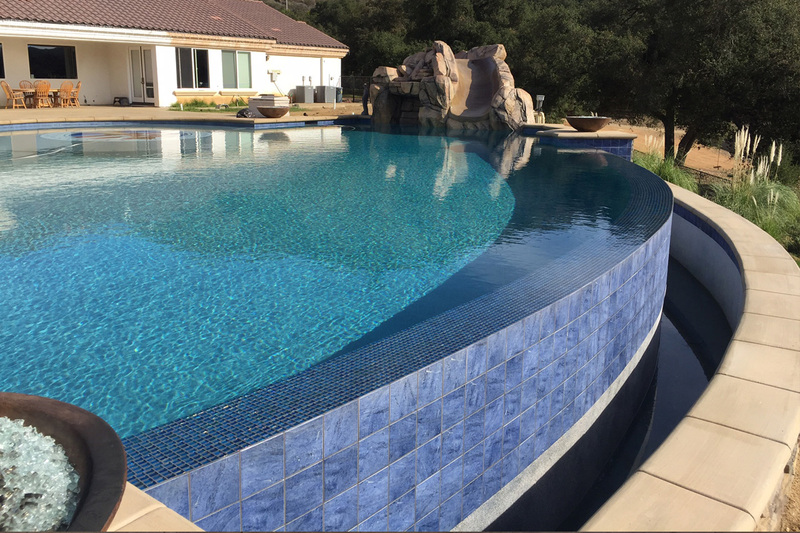 We work closely with each client to ensure the construction of your pool is designed in accordance with your personal desires. 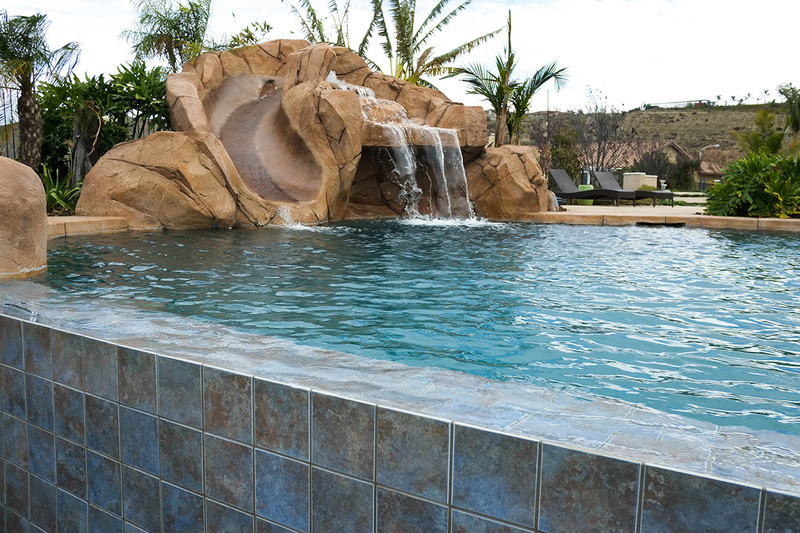 We build our pools using the highest quality materials and stay within the limits of your budget. 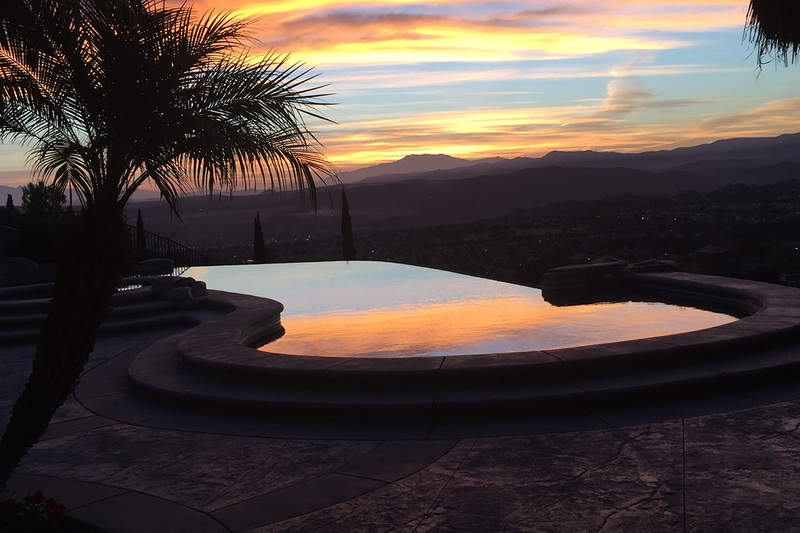 Our infinity pools can be artistically enhanced by using different textures, finishes and surprising accents like fire bowls. 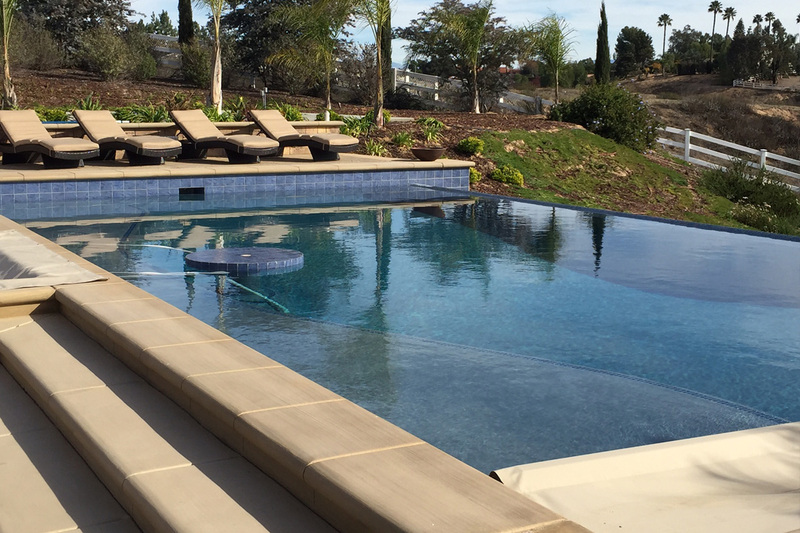 Infinity pool can be accented with natural rock or an unlimited choice of other options, providing a more relaxed and natural look. 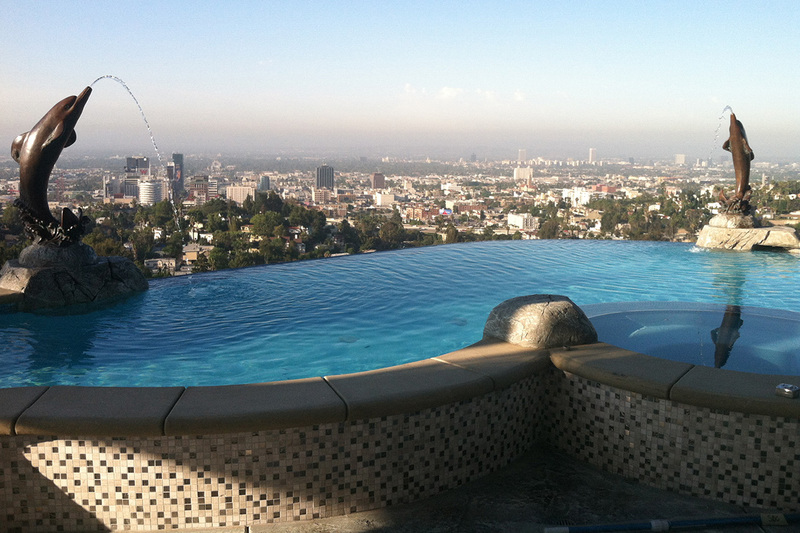 We will design your outdoor infinity pool to blend into the surrounding landscape. All measurements are customized to the specific site. 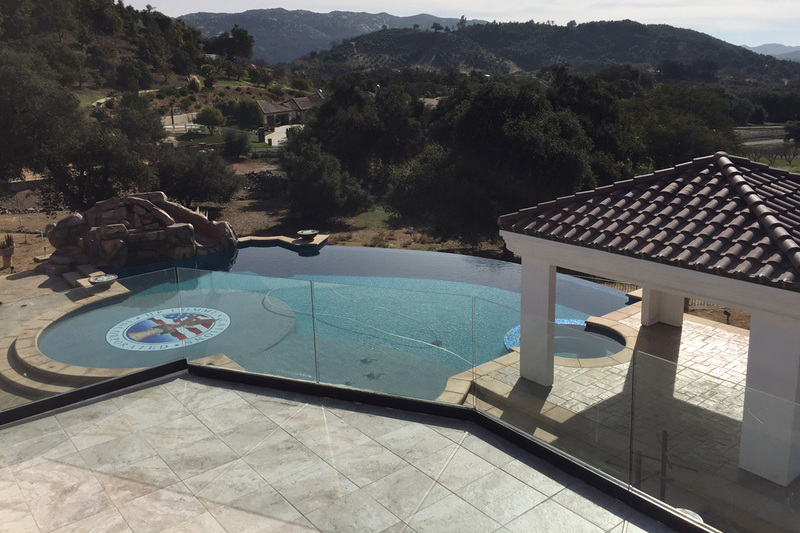 We will transform your backyard into a private retreat, where you can swim, splash, sun, relax and enjoy time together with friends and family. 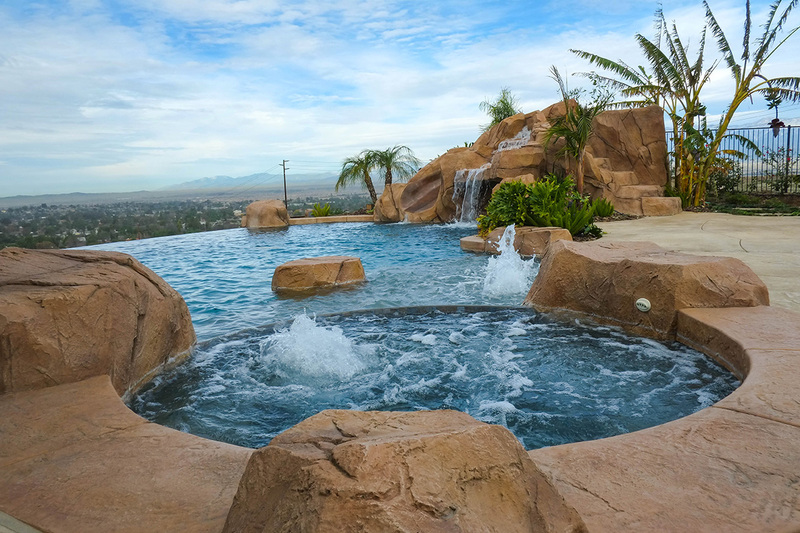 Make sure you choose a professional and experience pool contractor, so you can enjoy your pool for years to come.